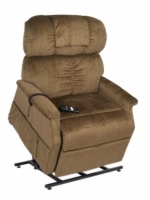 Three position lift chairs are perfect for reading, watching TV, relaxing, or for the occasional nap. Packed with features, these lift chairs offer the perfect combination of style, functionality, and reliability all at an affordable price. 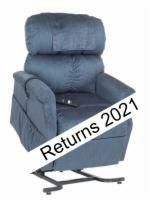 For People Under: 5' 8"
Best Feature: This is an excellent all-purpose lift chair and it features a super low price. For People Over: 5' 2"
Best Feature: The PR-355M is excellently priced for a three-position lift chair. 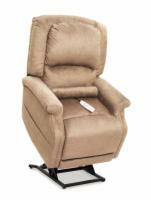 Best Feature: This is the only lift chair we carry that has heat and massage as a standard feature! For People Over: 5' 11"
Best Feature: The PR-355L is excellently priced for a three-position lift chair and roomier than the PR-355M. For People Over: 5' 1"
For People Under: 5' 6"
Best Feature: This chair stands out for its luxurious feel and plush biscuit-back cushion. 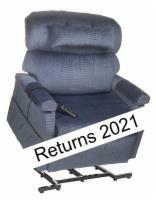 Best Feature: The PR-501S is a great three-position chair for smaller lift recliner users. 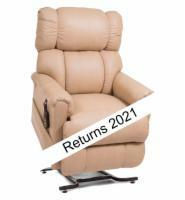 Best Feature: The PR-501M's ultra-plush upholstery and three-position reclining mechanism make it a dream to relax in. For People Over: 4' 6"
Best Feature: The PR-501JP is the ideal ultra plush chair for the smallest users who would be swallowed by larger lift chairs. 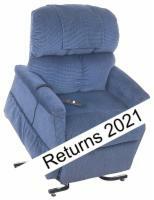 For People Over: 4' 9"
Best Feature: The PR-501L is the perfect ultra-plush three-position chair for larger-sized users. 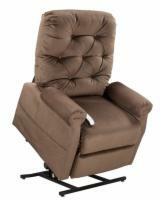 For People Over: 6' 3"
For People Under: 6' 8"
Best Feature: If you're concerned about your head and legs hanging off the back and footrest of your lift chair, the PR-501T is the one for you. 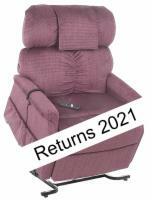 Best Feature: The PR-501L-26D sports a 26-inch wide seat and a 500-pound weight capacity. For People Over: 5' 6"
For People Under: 6' 1"
Best Feature: Specially designed for our tallest and heaviest customers, this lift chair's dual motor will never let you down. 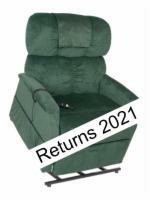 Best Feature: The 700-pound weight capacity and extra-wide seat mean you'll never be too big for this lift chair.